Join women from across the community for a delicious dinner and a timely talk from Rivkie Block in various homes. 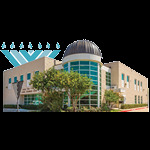 An opportunity for men to hang out together and experience a taste of yeshiva learning. Learn the significance of Tefillin and how to put them on, followed by a delicious breakfast, great camaraderie and occasional speakers.